Vikam back in Bollywood with his new movie titled David which will be directed by Bejoy Nambiar.It will be action comedy movie set for 2012 release. Bejoy has done critically acclaimed movie Shaitan in year 2011.After that he team up with this kollywood star Vikram for a new movie. Bejoy also worked as directorial assistant of Mani Ratnam for Guru and Raavan. 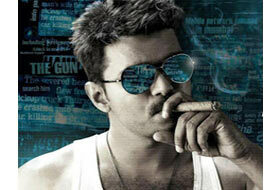 The buzz is that the new movie holds a gangster theme told in a fresh way.